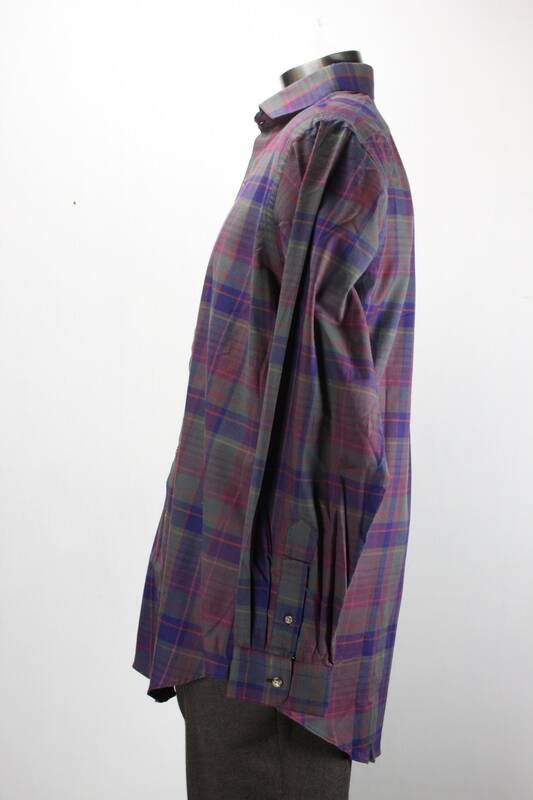 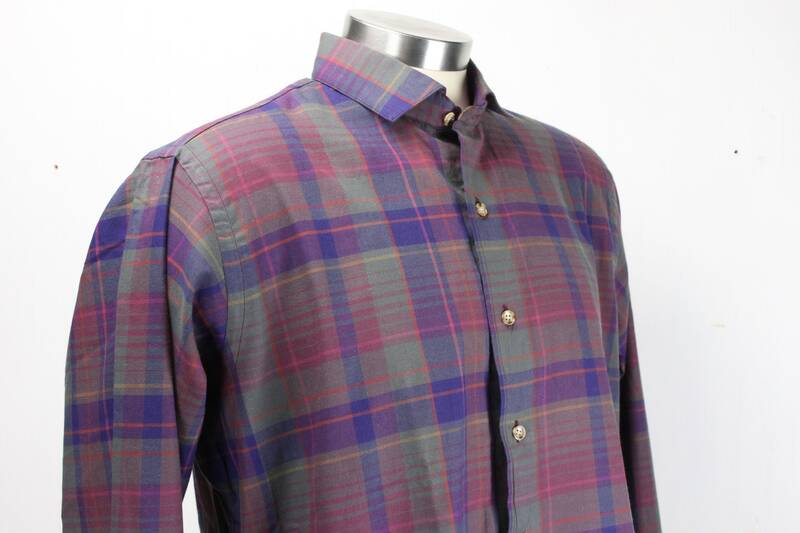 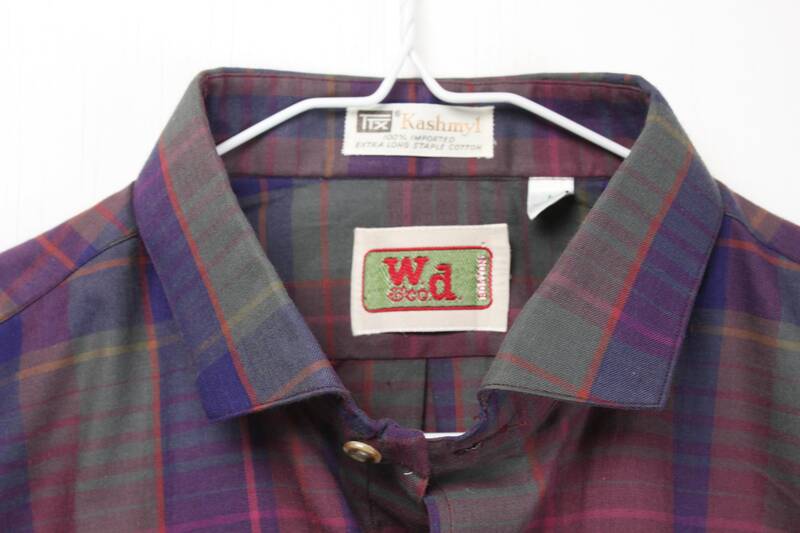 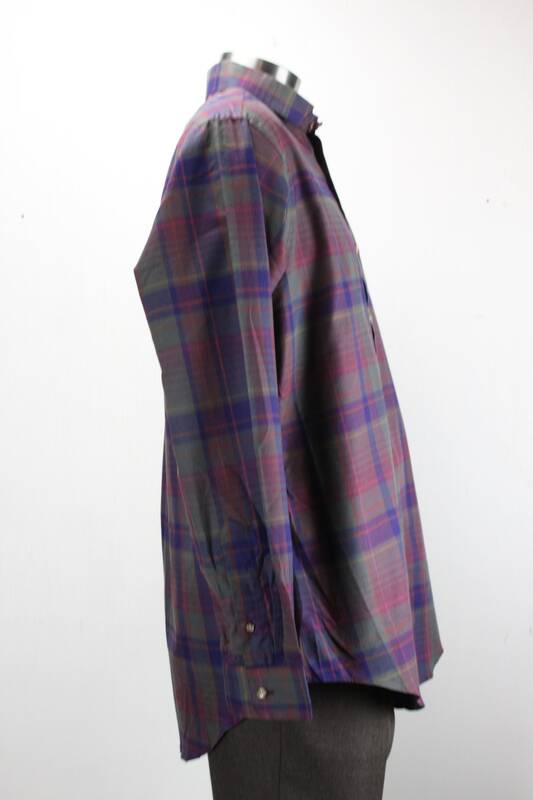 This smart, vintage Plaid by W&D co Boston is in dead stock condition! 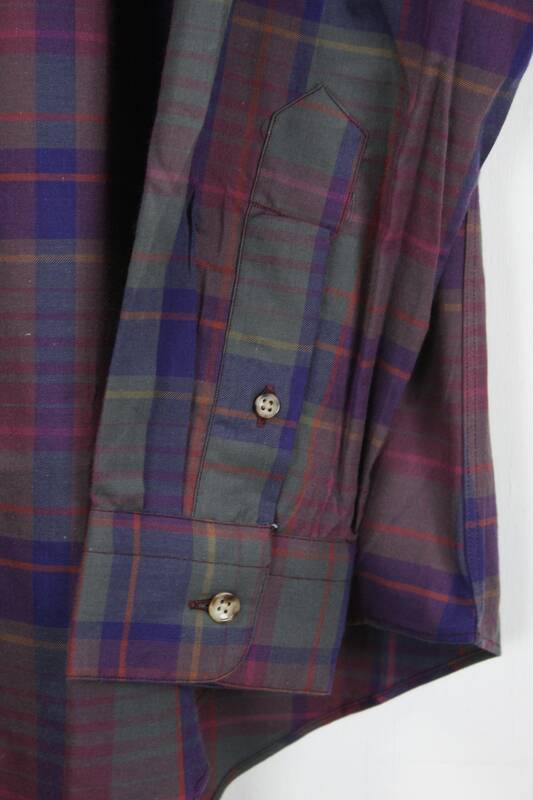 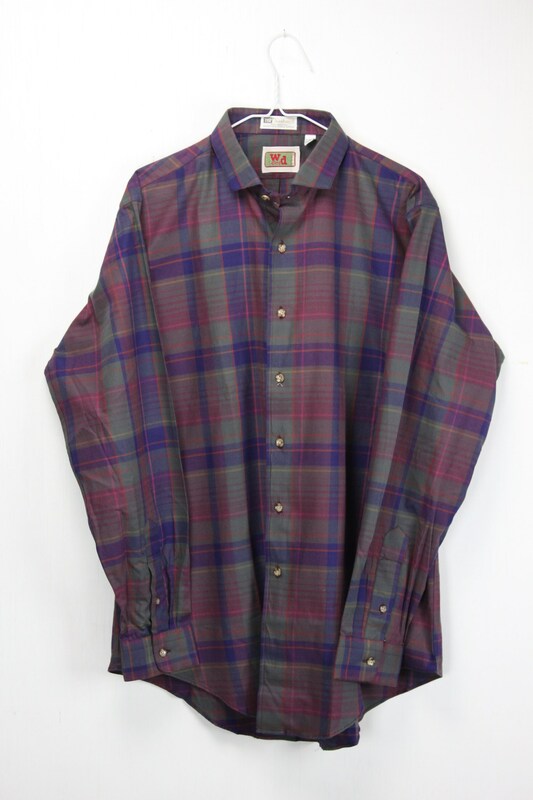 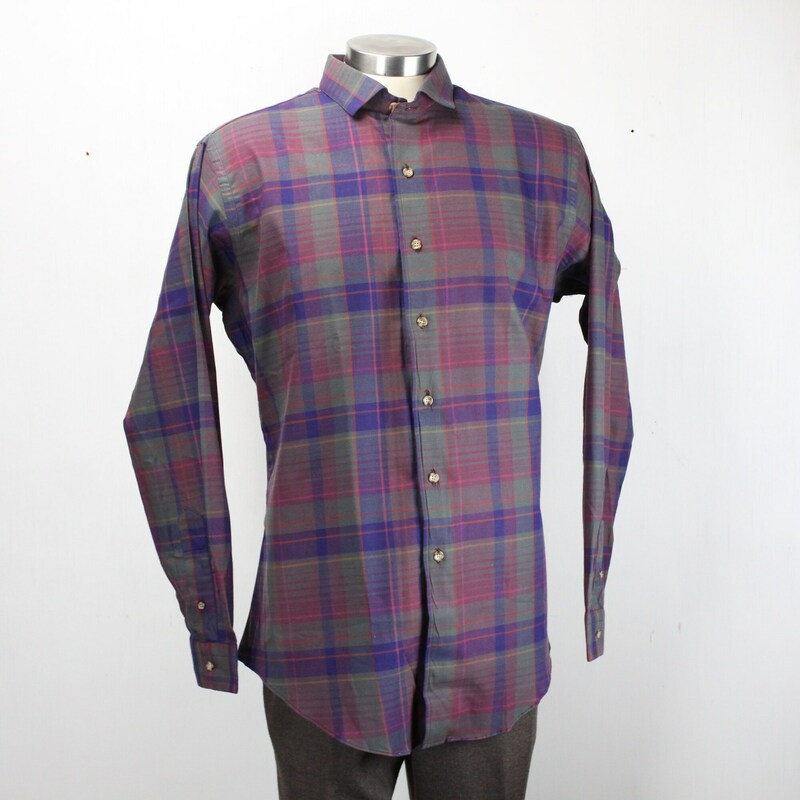 This shirt features a bold purple plaid main fabric, cut away collar and single button round cuffs. 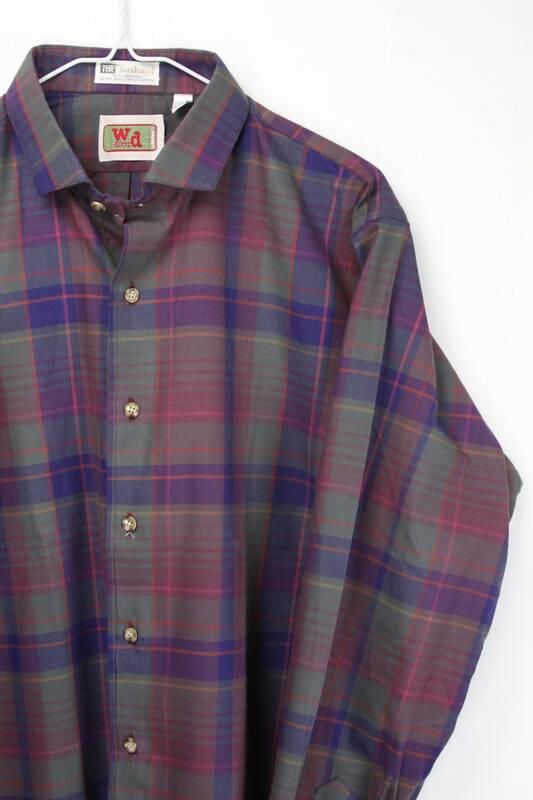 Made from medium weight, imported cotton - this classic vintage shirt not only offers style but also exceeding comfort! 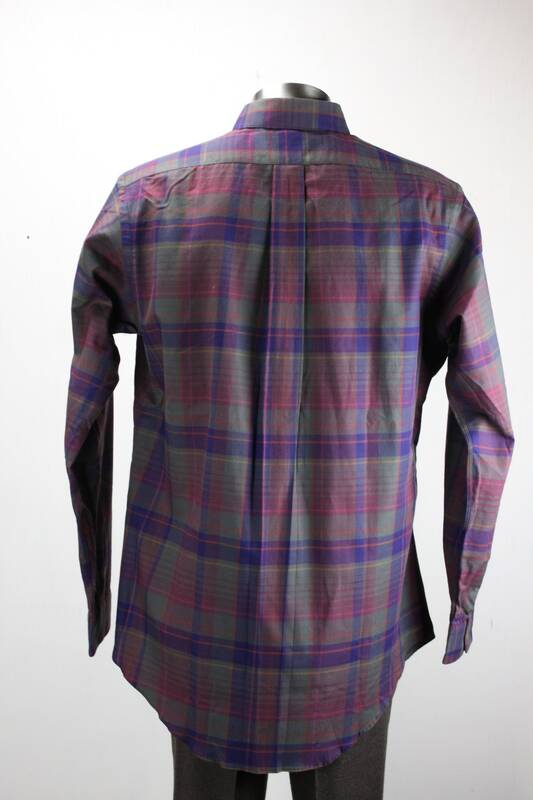 A must have for any gentleman! 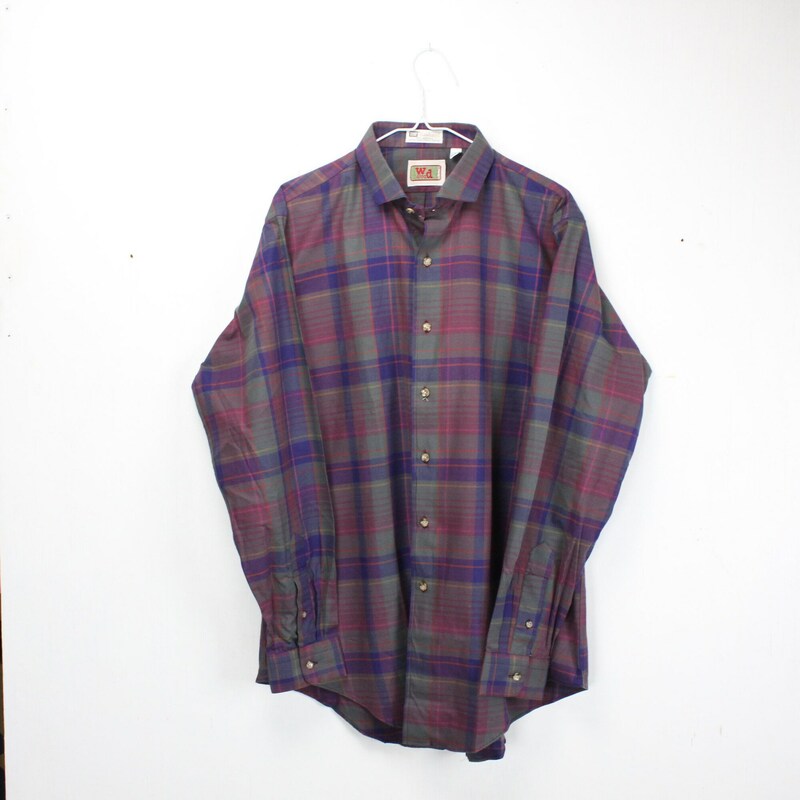 - Under Arm - Hem: 18"